Oluwayomi Oyebanjo, Chief Executive Officer (CEO), Oanda Consulting Nigeria, a multi sectoral firm, said it has secured a $500 million facility through the South African Zulu King, Goodwill Zwelithini kaBhekuzulu, to inject into the Nigeria and indeed Benue state economy. South Africa’s Zulu King Goodwill Zwelithini has called on President Cyril Ramaphosa to exempt nearly three million hectares of royal land from the government’s redistribution plans. 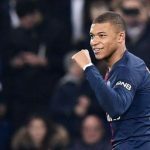 Kylian Mbappe is “the real star” at Paris Saint-Germain, says Jean-Pierre Papin, with Neymar operating in the 20-year-old’s shadow. 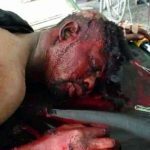 Less than a week after the Inspector-General of Police, Mohammed Adamu, warned policemen to stop indiscriminate use of their rifles, four policemen, attached to the IGP’s Special Intelligence Response Team, have been attacked by a gang in Ogoja, Cross River State. 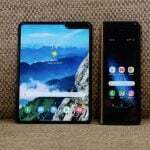 Samsung Electronics Co Ltd is retrieving all Galaxy Fold samples distributed to reviewers to investigate reports of broken screens, a day after it postponed the phone’s launch, a person with direct knowledge of the matter said on Tuesday, the News Agency of Nigeria reports. 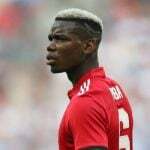 David De Gea, Paul Pogba and Romelu Lukaku will all consider leaving Manchester United this summer if the club failed to qualify for the Champions League, according to the UK Guardian. 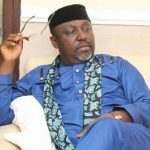 Another judge has withdrawn from a suit filed by the Imo State Governor, Rochas Okorocha, seeking an order compelling the Independent National Electoral Commission (INEC) to issue him a certificate of return as the senator-elect for Imo West. 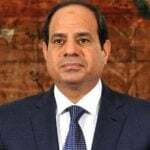 Egypt's parliament on Tuesday overwhelmingly approved constitutional amendments allowing general-turned-president Abdel Fattah al-Sisi to stay in power until 2030, state media reported. 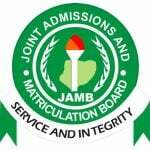 The Joint Admissions and Matriculation Board (JAMB) said it uncovered and arrested over 50 ‘professional examination writers’ who specialise in writing examination for candidates; for a fee. 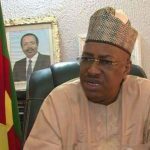 Cameroon officials on Wednesday said it has concluded arrangements with neighbouring Nigeria for the return of 4,000 Nigerian refugees to their country by April 29. 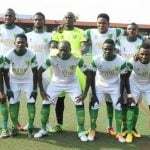 The management of Nigeria Professional Football League (NPFL) side, Plateau United FC of Jos has given a marching order to technical crew to win it’s next home match against Akwa United of Uyo or face severe sanction. 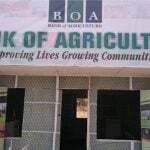 The Federal Government says it will finalise the recapitalisation of the Bank of Agriculture (BoA) in 90 days, in collaboration with the Bureau of Public Enterprise.